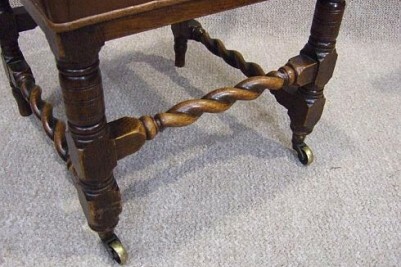 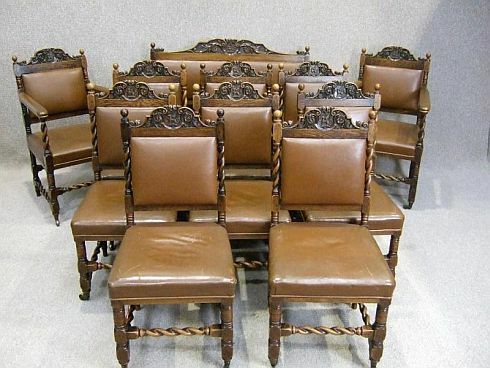 A truly magnificent set of circa 1900, barley twist dining room chairs. 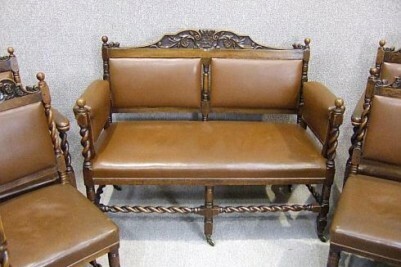 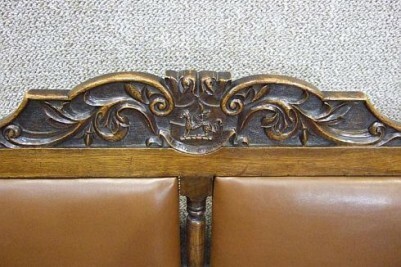 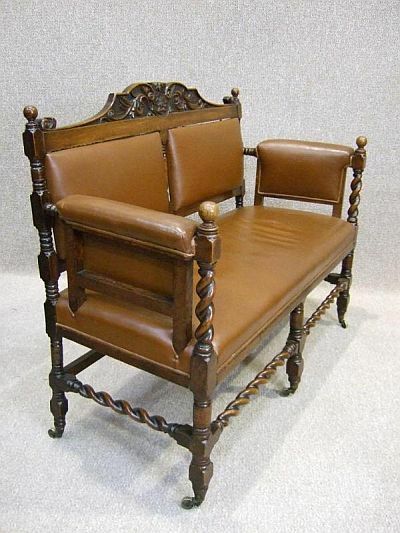 This set comprises of eight side chairs, two matching carvers, and a magnificent two-seater hall bench. 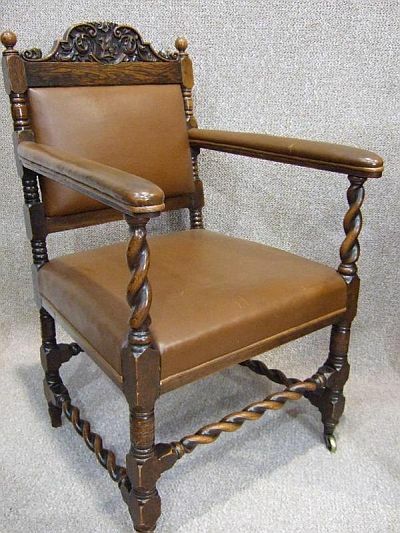 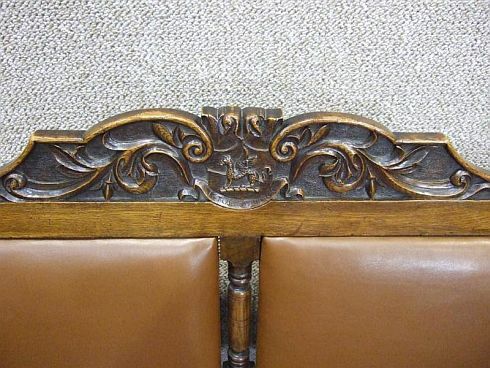 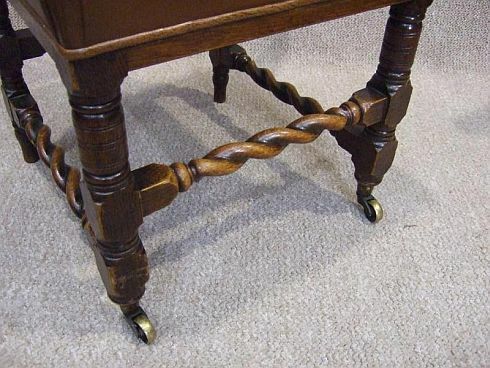 All of the chairs are lovely and solid, with no breaks to the barley twist, and all of the tops are carved with a griffin motif and the Latin phrase ‘Ictus non Victus’. 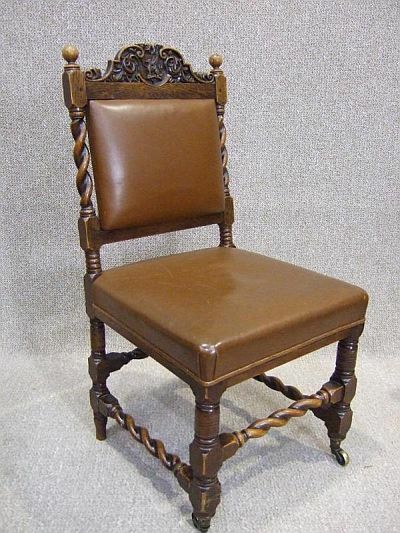 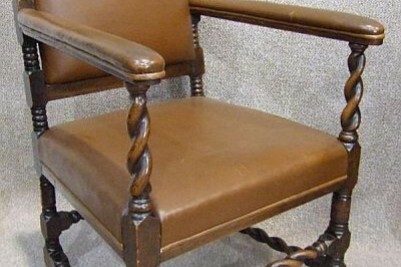 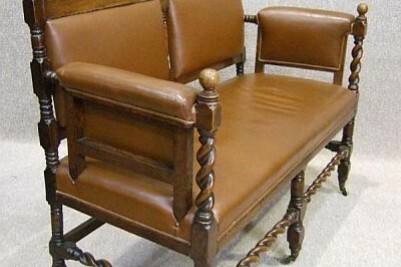 All of the chairs are upholstered in beautiful brown leather. 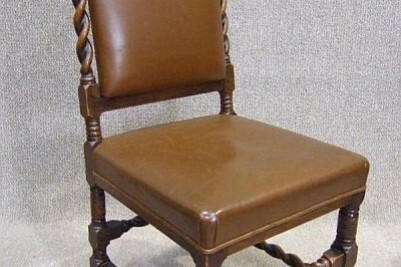 All of the leather is in good condition, however, there are a few rub marks and scratches which is to be expected; but no serious flaws. 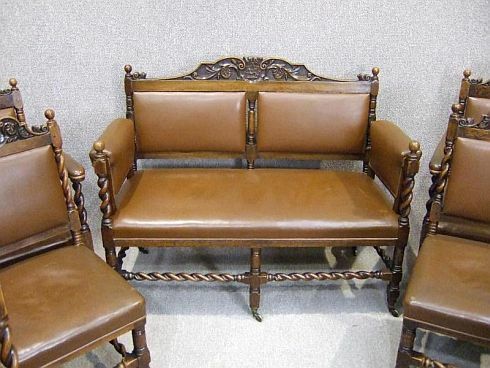 This spectacular set has come from a large estate, and would be ideal for any grand dining room setting. 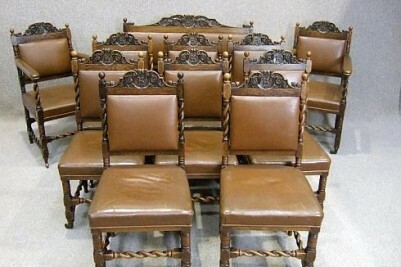 Seat Height: 17.5" Seat Height: 18"
Delivery £85.00 to England & Wales, please call for a quote if outside these areas.